Welcome to the travel blog of the Mai Globe Travels Team. We are a local travel agency based in Colombo. 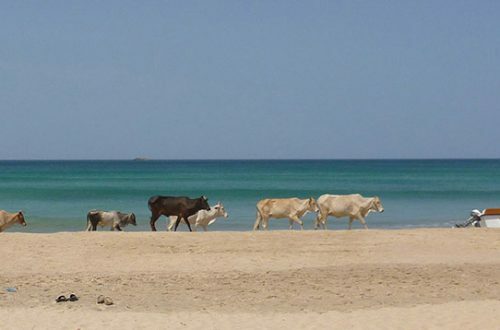 Discover Sri Lanka through the journeys of our experts and clients. 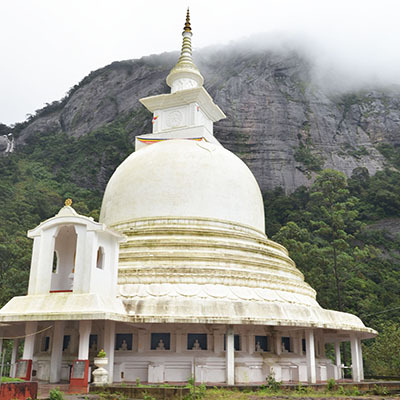 The pilgrimage of Adam’s Peak, a national and unmissable event in Sri Lanka. 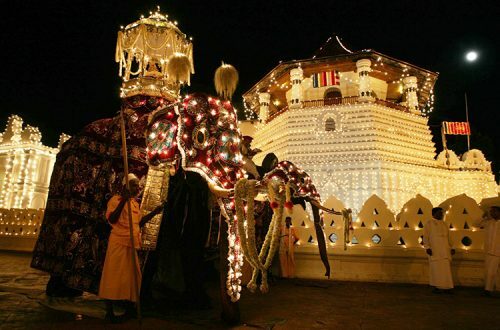 In addition to being a popular tourist trekking for its panoramas of the surrounding area, it is Sri Lanka’s largest religious pilgrimage. 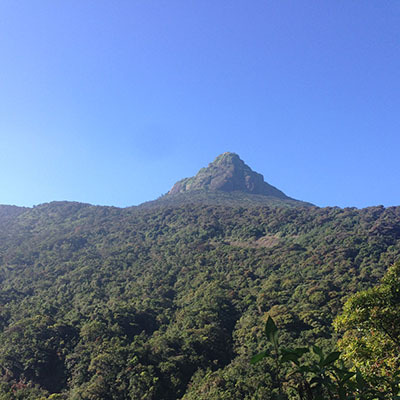 At an altitude of over 2200 meters, Adam’s Peak is ranked fifth among the highest peaks in Sri Lanka. The highest being Mount Pidurutalagala at 2500 meters then Mount Kirigalpotta at almost 2400 meters, followed by Thotupola Kanda at 2350 meters and finally Kudahagala at 2320 meters. It starts on the full moon of December until the full moon of April. It takes approximately 4 hours on average to climb and 2-3 hours to go down knowing that it mostly depends on the number of participants and the physical condition of everyone. The beginning of the year is generally calmer and intensifies towards the end. 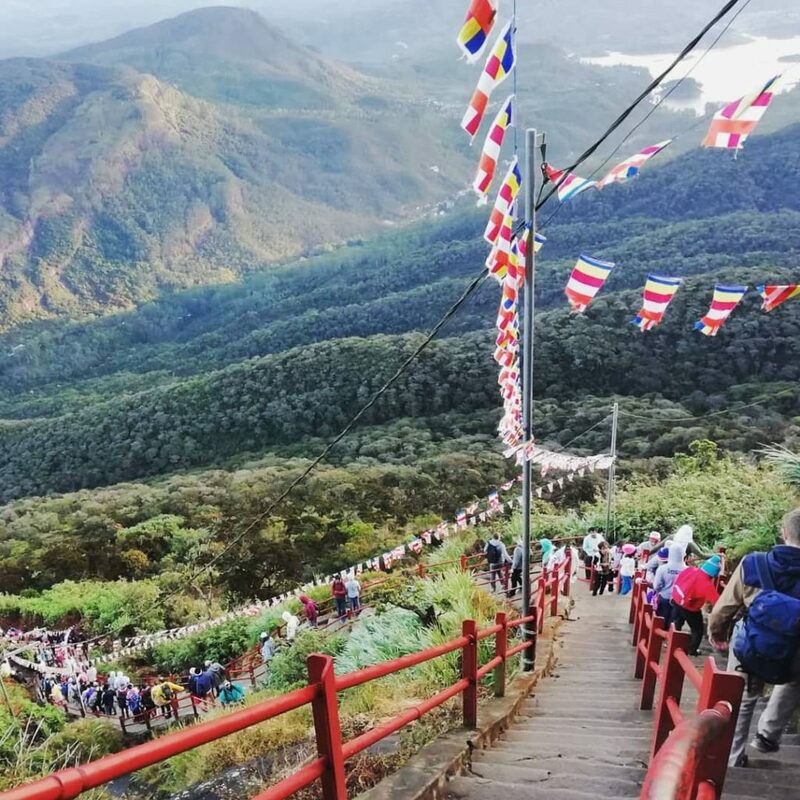 At 90km from Kandy, the trail starts with a short walk of less than an hour from Dalhousie to reach the entrance of the site, then on the way to climb the 5500 steps with a vertical drop of 1200 meters! Beyond the physical effort, it is an unique meeting, which unites both local population and foreign visitors while mixing religions and generations. Once the peak is reached, all pilgrims and visitors can take a breath and admire the view of the surroundings. In parallel with the panorama, we can also see a giant footprint that, according to different beliefs, represents Gods or symbolic people. Indeed it would symbolize the passage of Shiva for Hindus, the footprint of Adam during his descent from the Garden of Eden for Muslims and Christians and that of Buddha for Buddhists. 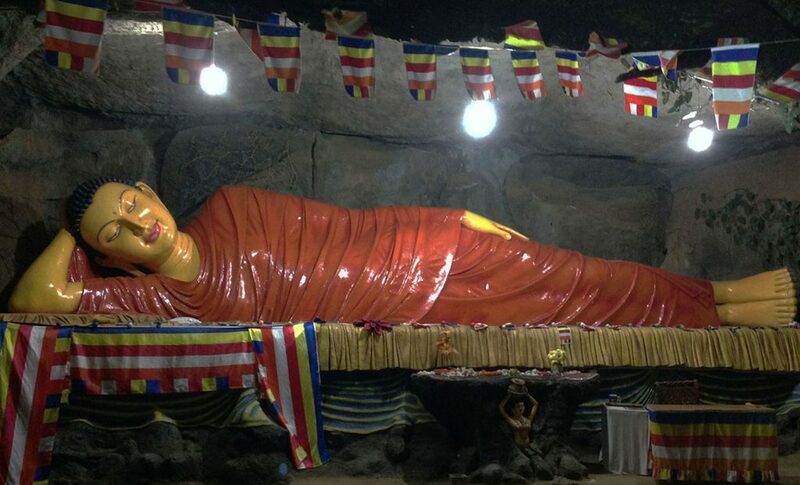 Special attention for Sri Lankan Buddhists who consider this place as one of the three most sacred places on the island. It is imperative to do this at least once in one’s life, however according to beliefs one should even do it at least three times, once for Buddha then for one’s parents and a third time for oneself. In a few words, an intense climb that it is totally worth it! For those who still hesitate, you will find below practical information and testimonials from our team and customers. What were your first impressions and emotions when you finally reached the top? Each and every time is different, the first feeling was realising how cold it was at the top, then there is a huge enthusiasm, we all want to see Bouddha’s footprint and we wait for the sunrise, a moment of pure beauty. Do you have any short anecdotes or piece of advice to give? Warm clothes to change once we reach the top, to keep ourselves warm. Avoid long breaks because it is too hard to get back to it afterwards. What were your first impressions and emotions when you finally reached the top? Mesmerized with the view, and relieved. Do you have any short anecdotes or piece of advice to give? Take some small snacks and a bottle of water and try to avoid buying snacks from shops (expensive, expired..) but tea is fine of course ! It is also better to take some warm clothes because once you reach the top it is quite cold. Would you recommend it to other visitors? Definitely ! Poorni Fernando’s point of view: Simply awesome! Do you have any short anecdotes or piece of advice to give ? If you can avoid the weekend because it is very crowded. Would you recommend it to other visitors? Yes, just keep the footprints and the best memories! One of our client, Françoise Vitali: Perplexing – Unavoidable – Tough. What were your first impressions and emotions when you finally reached the top? Happy to have reached it. Humility regarding the elderly and disabled who are making this incredible effort and respect for the families that help them achieve this goal. Amazing landscapes but the place is unfortunately dirty…a shame. Do you have any short anecdotes or piece of advice to give? I loved the fluffy soft blankets that people were carrying (except the colours) and I personally regret not bringing one for myself… so soft ! Important to bring water and courage ! Would you recommend it to other visitors? I recommend it but a good trekking experience is needed. 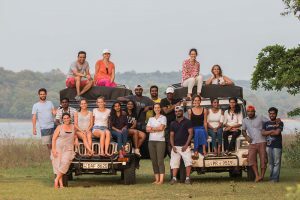 If you want to discover the Sri Lankan culture and traditions, know that our agency Mai Globe Travels can create a custom tour that will meet all your desires!